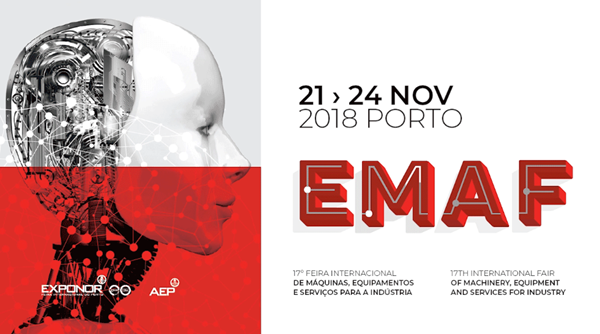 From Nov 21-24, ZW3D’s reseller TecniRolo presented at EMAF 2018 in Portugal. As a compatible all-in-one CAD/CAM solution, ZW3D occupies the leading position in the global market. We aim to provide high-quality service at a competitive price and bring great convenience to our customers. ZW3D 2019 Beta has been released recently, equipped with improved efficiency, flexible sub-assembly, enhanced modeling and VoluMill for ZW3D. Now users can enjoy high efficiency and better performance. During this exhibition, the features of our reliable products were demonstrated and attracted a lot of audiences, especially VoluMill for ZW3D, the newest feature. They had shown great interests in the new features and highly appreciated the huge improvements made by ZW3D2019. Other than presenting the new features, the officers in the exhibition have offered technical advice and support for the customers who pursue high-performance solutions. FMAF, also called International Fair of Machinery, is one of the most important industrial exhibitions which are dedicated to industrial manufactures. Equipment and Services for Industry. Machine-tools; industrial maintenance; foundry/sintering; industrial cleaning; logistics and transport; chemistry and laboratories; molds will be displayed. And participants are from industries such as Entrepreneurs; managers and leaders with skills on the company’s production process level; senior technical staff etc. Nov 21-24 10 a.m. – 19 p.m.